Comic-Con just came to an end for another year, with over 130,000 people gathering in San Diego to celebrate the world of comics, toys, gaming, film and television. It seems there was more to the event than just geeks perving on half-naked costumed girls (click here for some cosplay photos), with many of big-named studios unveiling some massive news. 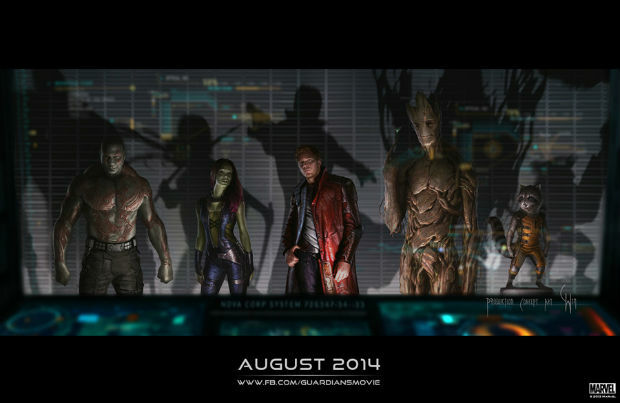 What could be described as Star Wars in the Marvel Universe, GOTG has a cast that rivals The Avengers. Benicio Del Toro confirmed his role as The Collector, a million old being who travels through space ‘collecting’ various artefacts, and he could possibly be the villain in Avengers 2 (see below) or even 3. Chris Pratt looks like a completely different person as Peter Quinn, who he described as the “jerk” also known as Star Lord and leader of the Guardians. The biggest surprise was Dave Bautista, the “hulking” giant who will be playing Drax the Destroyer. He came across as a bit of a softy at the conference, saying how lucky he felt to join the cast and admitted he is learning a lot from his first real acting gig (if you don’t count the fact that all wrestling is basically acting). You can also see some props from the film over at Cinema Blend. While Marvel pretty much dominated most of the news coming from Comic-Con, DC managed to drop this little bombshell on the unsuspecting crowd. The big question now will be “Who is playing Batman?” Henry Cavill is returning as the Man of Steel, but no casting decisions have been made on the Dark Knight. Christian Bale previously said he won’t be returning but that may have changed, and they could easily write Joseph Gordon-Levitt into the role if this is a carry-on from Christopher Nolan’s trilogy. Alternatively, The Lone Ranger’s Armie Hammer has been thrown into the ring a few times lately, maybe there’s some substance to the rumour. 3. 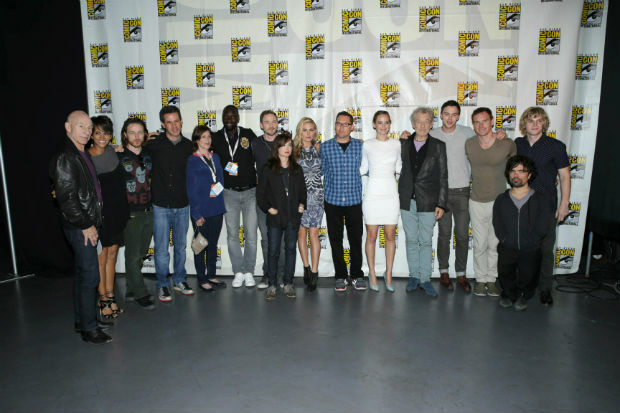 X-Men: Days of Future Past looks as awesome as everyone had hoped! Even though it’s Ellen Page’s character Kitty Pryde who travels back through time in the comics, director Bryan Singer confirmed last week that Hugh Jackman’s Wolverine will be sent back in time (probably because Wolverine doesn’t age) to change the future. To be honest, I have no idea what this means for the Marvel film universe – but that’s why it’s exciting. In the comics, Ultron is a robot created by Marvel character Hank Pym (Ant-Man/Giant Man) but director Joss Whedon also confirmed that Pym won’t appear in the film at all (he has his own movie due in 2015). Considering the ending of Iron Man 3, it might be Tony Stark who creates Ultron or even Mark Ruffalo’s Bruce Banner – it’s anyone’s guess at the moment. However, Whedon did mention that Jeremy Renner’s Hawkeye will have a bigger role in the sequel. Personally, I think Whedon’s early hint “Red” still has a lot to do with the plot… Red Hulk perhaps?